Telling the story of a group of police cadets on the most difficult day of their training. *police cadet/military type; brawny, tough, fit with short/cropped/shaved hair, clean shaven; in good physical shape – strenuous activity will be filmed. Stage combat and/or stunt training a plus. Pays a $100 talent fee, plus IMDb credit, meals, and snacks. Send a simple one- to two-minute audition video doing an impression of a police cadet in training. 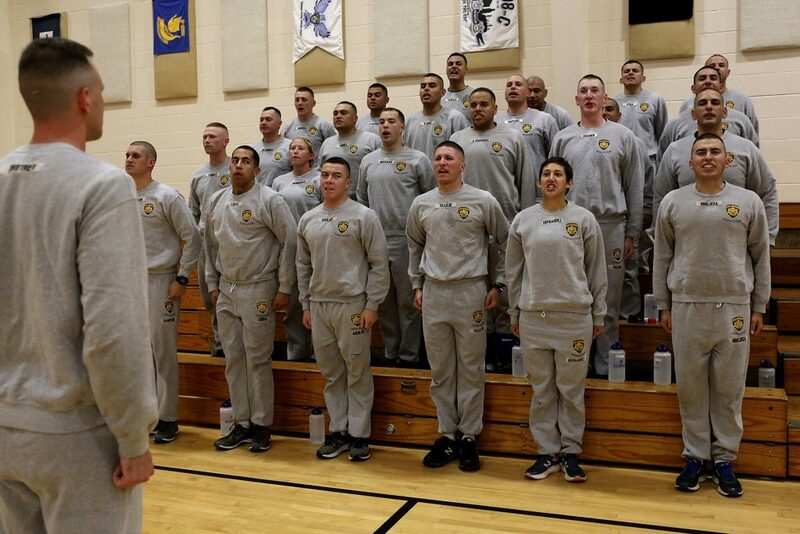 Think “Full Metal Jacket” boot camp scenes, recite a military cadence, etc (use your imagination). You can make a private/password protected Vimeo, YouTube, etc. link. I look forward to seeing it! Cadets get in formation during their final physical training test at the San Antonio Police Training Academy on June 16, 2017.